Vision Perception is the ability to interpret, analyze, and give meaning to what we see. These skills help us recognize and integrate visual stimuli with previously stored data to form a stable, predictable, familiar world. In other words, vision perception allows us to understand, not just see. 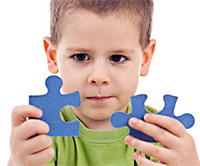 In school, visual perceptual skills are particularly important. Without good perceptual skills, we could not recognize words we’ve already seen, tell the difference between a p and q, sequence the order of letters when spelling, visualize reading content for comprehension, determine left from right, scan a busy worksheet, mentally manipulate objects in math, conceptualize relationships in science, and connect other sensory stimuli to our visual construct, such as the sound of a keyboard to a piano. Visual perception skills are generally broken down into distinctive subcategories based on their analytical function. These subsets of skills do not work in isolation but operate in combination with each other for efficient visual function. Whether considered separately or collectively, these skills are critical to learning. Visual Memory–the ability to remember for immediate recall the characteristics of a given object or form. 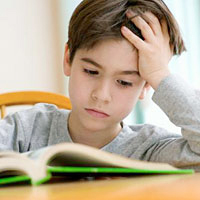 Children with poor visual memory may struggle with comprehension. 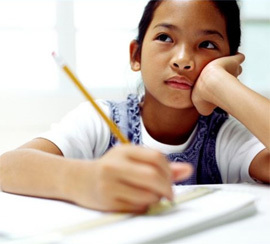 They often subvocalize as they read because they must rely on auditory input to help them compensate. They may have difficulty remembering what a word looks like or fail to recognize the same word on a different page. They may also take longer copying assignments because they can’t retain information long enough to transfer it from the board to their page.